Since becoming members of the Nouveau Lashes Lash Gang, we've gained so many amazing blogger friends and joined such a lovely community of beauties. We've also had the privilege of wearing lots of gorgeous lashes! Best. Gang. Ever!!!! I can't stand my natural lashes, they're too short, too straight and just look non-existent, even with mascara, but wearing strip lashes everyday is a lot of hassle when you're in a rush to leave the house for work. 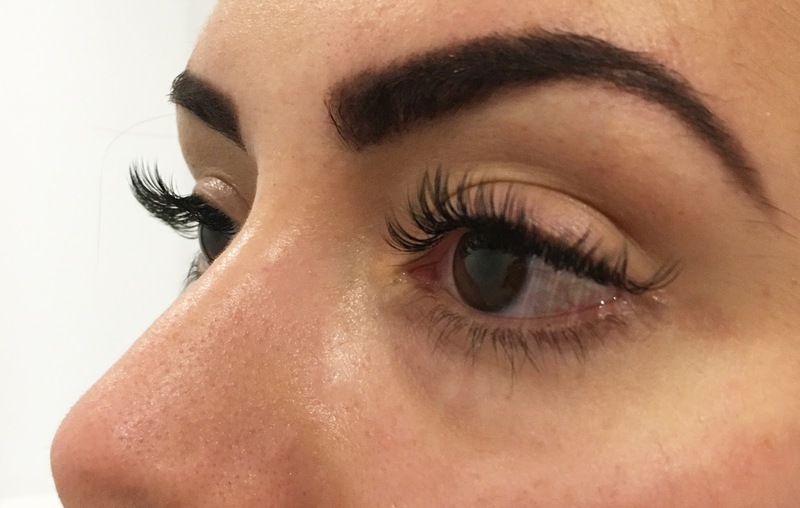 Having tried Nouveau Lashes SVS treatment before at a Pegasus LIVE event and loved the wide-eyed, fluttery lash look, I was so sad when they all dropped out 2 months later. I basically feel naked without them. 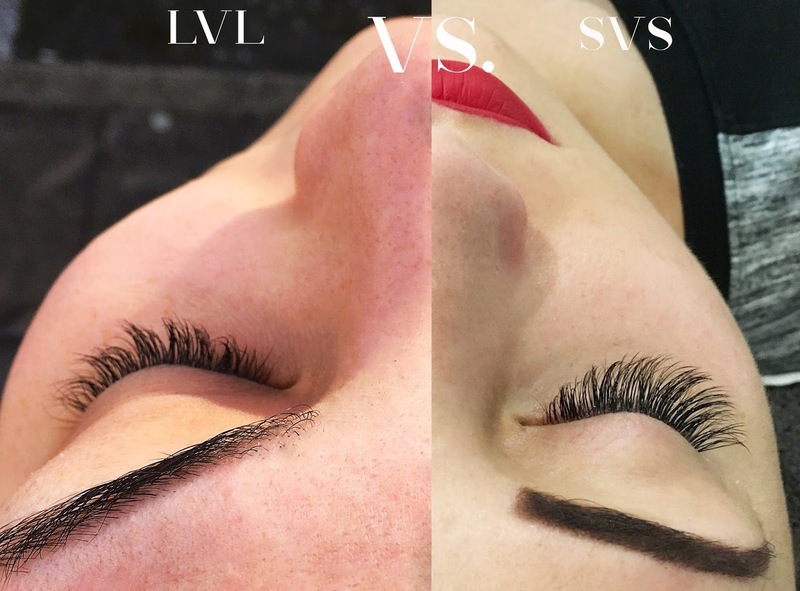 Following on from our most popular blog post [Russian vs. Tahitian Lashes | What's the Difference], we wanted to do another comparative piece on lashes as we see so many people asking what the difference is between SVS and LVL lash treatments. 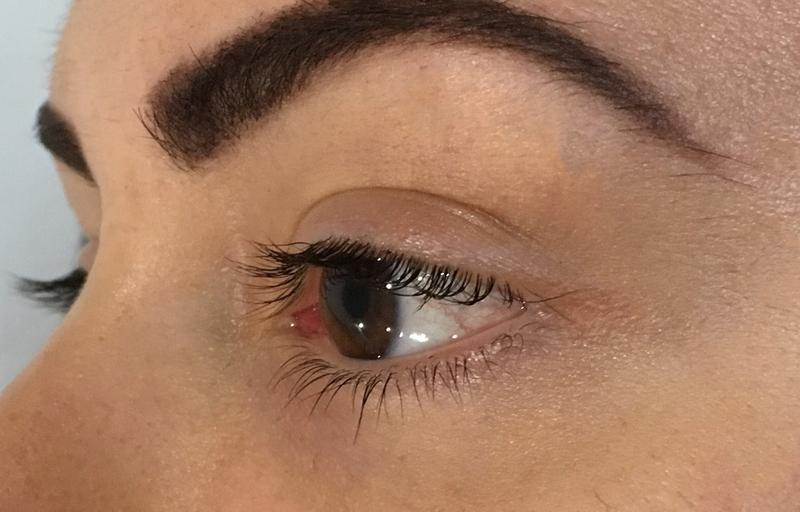 After arranging an appointment and talking to the lovely ladies at Serenity in Potters Bar to decide who should get what treatment, they first asked what type of lashes we each have. 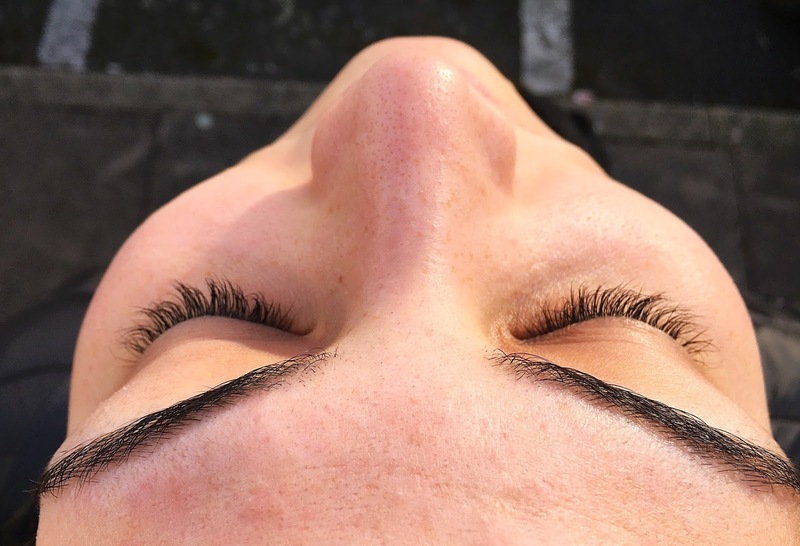 Kirsty has naturally long, thick lashes that curl upwards, whereas my lashes are shorter, straighter and are quite thin and sparse. It was recommended that Kirsty get the LVL treatment and I get the SVS treatment. But what actually are they? What's the difference? LVL is a natural solution to add Lift, Volume and Length to your natural lashes to make them look fuller, thicker and longer. This is what Kirsty was recommended. 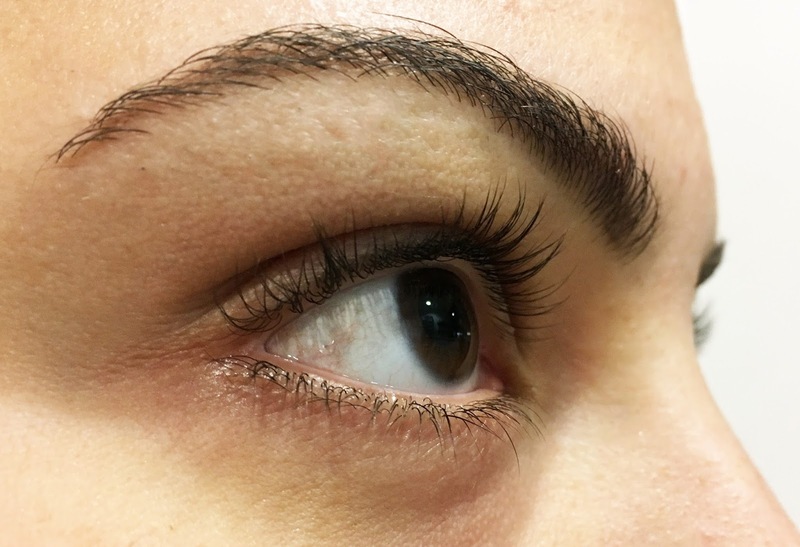 The treatment is essentially a perm for your eyelashes. The treatment involves the use of chemicals and tints so a patch test was needed 48 hours or more before the actual treatment. We popped down on the weekend to do this and treated ourselves to Potty Pancakes before heading home. Ultimate pig-out sesh! Upon arrival, Kirsty was led into the treatment room by Kirsty (so coincidental the LVL specialist has the same name!) and laid down on the treatment bed. 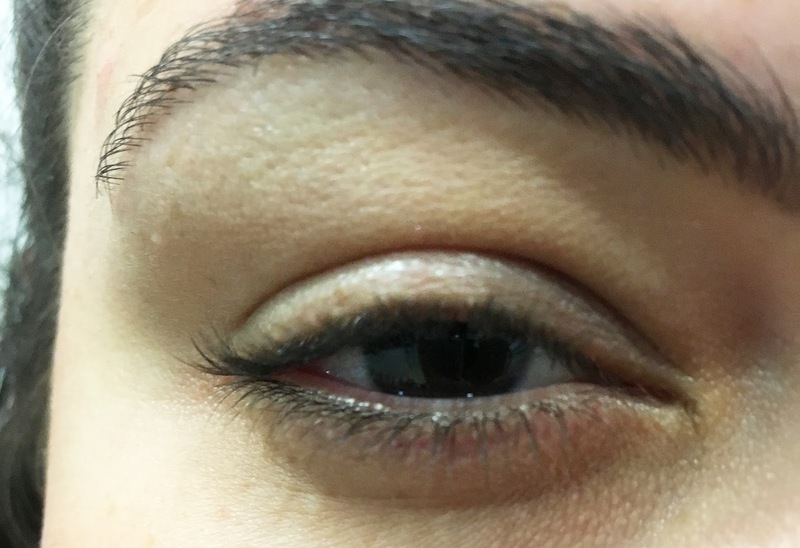 Talking her through the process, the technician applied eye protectors and gel cushion and combed the lashes before applying the perm solution for 20 minutes. This lifts and straightens the lash from the root rather than half way up to give added volume and lift. Kirsty received a lovely hand massage while she waited for it to do its magic for 20 minutes before it was wiped away and the tint was applied. Left to develop for 10 minutes, she was finally allowed to open her eyes and see the results which she described as looking like she was "wearing mascara". If they looked like that after the treatment, imagine how they'd look with actual mascara on! The treatment itself usually takes around 45-60 minutes in total to make allowances for longer tint time and perm development. 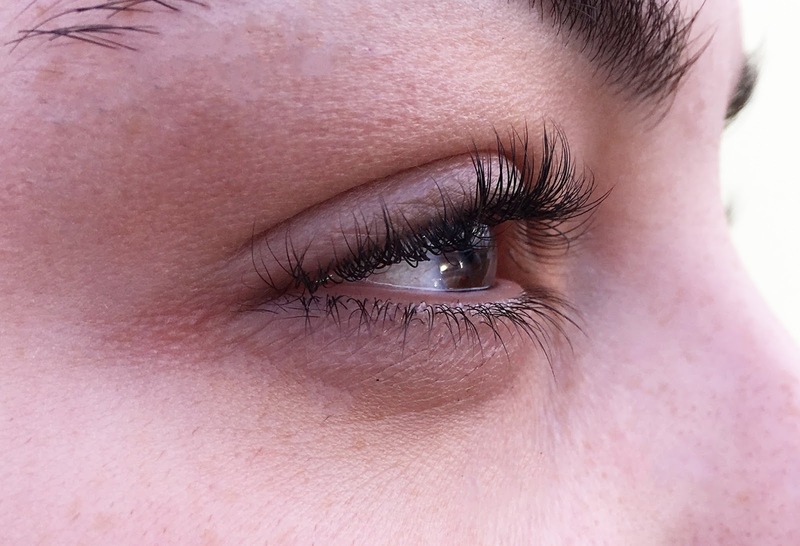 The straighter and lighter your natural lashes, the longer it needs to develop for. In terms of aftercare, Kirsty was told not to go near water or steam for 24 hours, which included sitting above a steaming plate of food or going in a bathroom after someone's had a shower. This is to stop the lashes softening and losing their curl. Even after 3 weeks, her lashes look super curled and fluttery. I wish mine were like that naturally! I went for the SVS lashes again as I loved them so much before and just think I look so much better with long, curly lashes. Having these lashes means I don't have to wear as much eye makeup, if any and don't need to wear strip lashes on a night out, which saves time when getting ready. After being led into the treatment room by Anna, who is expecting a baby any time now (so exciting!) and got to lay down on the bed and listen to tranquil music. Not the best thing to listen to after a long day working as it was almost sending me off to sleep. If it weren't for the lovely chat we had, I probably would have slept there overnight. Affixing the lash protectors over my bottom lashes, she asked what type of look I wanted to go for, how long etc. Rather than the typical cat eye - longer lashes on the outer corner - I opted for the doll look which have longer lashes in the middle and give a really nice, natural look. She glued super-fine lash extensions to each of my lashes. 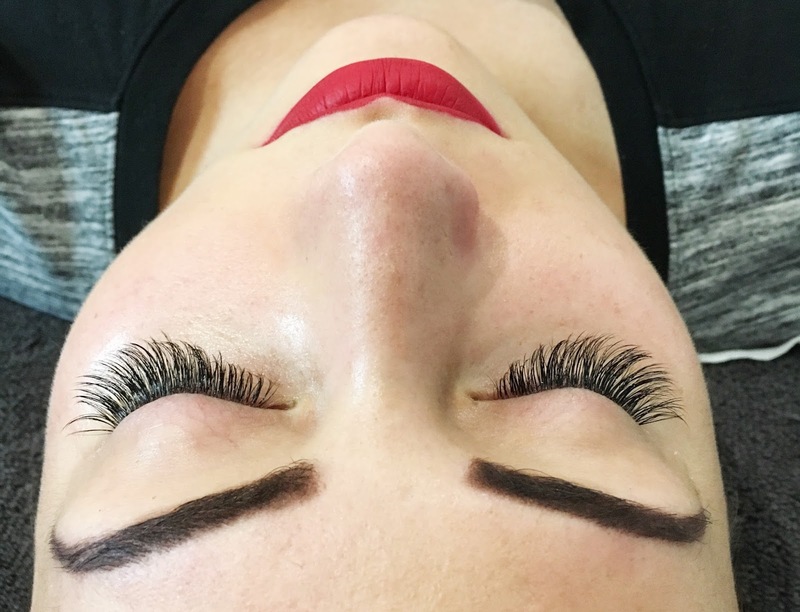 As the extensions are not thick or heavy, they do not harm the natural lash and are only designed to be on your lashes for 6-8 weeks before they grow out, after which you can get a new set applied. 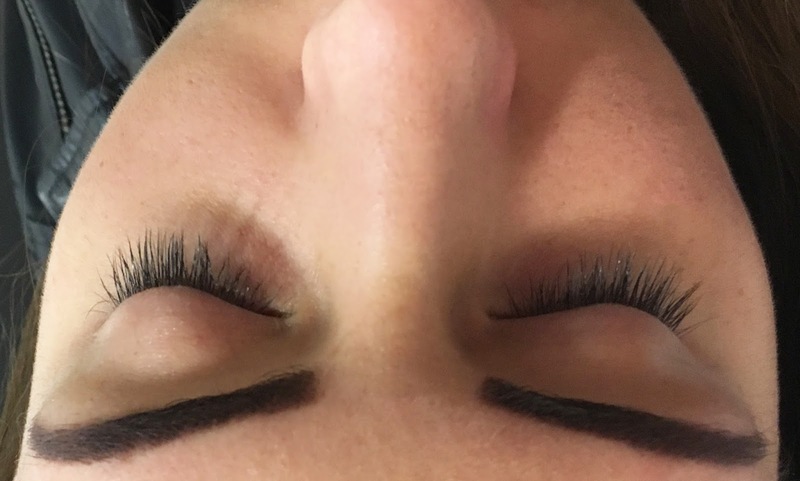 This SVS treatment combines both of Nouveau Lashes' other lash treatments Extend and Express lashes for a natural long, thick and fluttery look. After almost dozing off a couple times, the treatment was over in around 2 hours, so Kirsty sat waiting with a cup of coffee for half of it as her treatment was much shorter. Once my full set were applied, I was told to keep my eyes closed for a few more moments while she peeled off the lash protectors and other tape and made sure the glue hadn't stuck to the bottom lashes so I could open my eyes. I was handed a mirror and oh lordy, they were beautiful! I've said this before, but I really do love when I have long lashes! The same aftercare is recommended, though I was also told not to use oil based products on my eyes as this can loosen the glue and was given a little comb to comb them every day. 3 weeks later, a lot have dropped out, but they still look really natural and I've had a lot of compliments off strangers for them asking where I got them done! Aftercare : Stay away from water and steam for 24 hours, comb through daily and don't use oil based products. Once we were both finished, we were given loyalty cards which we're definitely going to take advantage of. They have some amazing beauticians there and have excellent service. We felt like real VIPs. We'll be going back there soon for prohesion acrylics (no drilling, no stick on tips) and IBX nail treatment to help me grow and strengthen my nails after I destroyed them. Their prices are more than reasonable and offer so many other treatments too like fat freezing, semi-permanent makeup, massages, facials and more. If you're from Hertfordshire, definitely check them out. I might even get them to do my wedding makeup! We really want to thank the lovely ladies at Serenity and the gorgeous girls at Nouveau for having us, we can't wait to show you their whole collection of treatments, falsies and more. After 4 weeks, I went back for infills and just look how much better they look! After 4 weeks, there were still quite a few extensions attached ( I sleep on my face so probably more lashes fall out than on a normal sleeper) but they still looks fluffy and natural. I'm so glad I got them infilled though as they just make me look so much better, I don't even need to wear makeup now!